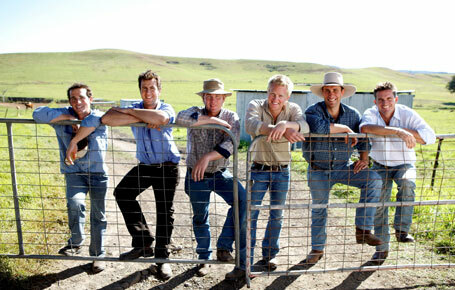 Channel Nine’s hit reality show Farmer wants a wife was based on fact … there are more single men in rural Australia than in the cities. Man drought. These two simple words can strike fear into the hearts of most 30-something single women. And suddenly the ticking of one’s biological clock, which was an easy-to-ignore gentle hum turns into a loud and persistent pounding. But does the man drought really exist or is it all a fallacy? A handy excuse we throw out when pressured to find a mate, settle down and pop out a couple of kids? 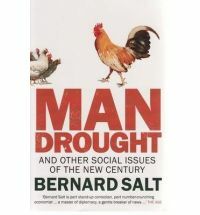 Renowned Australian demographer and social commentator Bernard Salt found himself discussing Australia’s single scene so frequently that in 2008 he released his third book, Man Drought, based on the 2006 Census results. His study revealed there was less product for 30-something women to choose from, with the number of single women outweighing single men. “It was pre-Global Financial Crisis (GFC) and the situation then was that, at an aggregate level, there was actually a low-supply of men in their late 20s and early 30s across Australia,” Salt said. “I put (the drought) down to high levels of Gen X and Gen Y working overseas; if they were in property, construction or engineering, they went to the United Arab Emirates (UAE); if they were in finance, they went to London or New York and those in IT headed to either Silicon Valley or Mumbai,” he explained. Salt also looked into the UAE’s Census which showed there were close to 20,000 Australians working in Dubai at the time—most of whom were single men aged between 25 and 40 years. “That diminution of men in their late 20s and 30s was further exacerbated by distribution matters—most of the single men were concentrated in rural and remote communities whereas the single women were in the city and lifestyle towns in sea-change and tree-change communities,” Salt said. That migration throws out the gender balance. The 2011 Census showed that while the stats on singledom haven’t greatly changed since 2008, there is more ‘product’ on the man market following the GFC. “When the men started coming home in 2008/2009, I suggested that single women position themselves between the Arrivals Hall and the car park at Sydney International Airport,” Salt joked. Despite this influx, men and women are still living—and moving—in different circles. But there must be some men in the city, right? According to Salt, the place to be in Brisbane is Upper Mt Gravatt, where the odds are 2-1. “There are two single men to every single woman; it’s also right near the university and there are a lot of foreign students who come out to study there, which is why those numbers are high,” Salt said. Lakemba in south-west Sydney and West Footscray in Melbourne are also hot spots for single men. But as someone once joked, the odds are good but the goods might be odd … and the lack of ‘quality’ men is also a common complaint among successful career women. “Millions of years of evolution mean women are hard-wired to ‘marry up’,” Salt explained. “The male must be taller, stronger, fitter and earning more and this usually means they will be slightly older and more established. But with more women than men now graduating from university, is it getting harder to find a man who meets those ‘evolutionary’ requirements? “Yes it is; in the fields of law, finance and engineering there are women moving up the income hierarchy but, despite this advancement, they are still hardwired to ‘marry up’, so if she’s a GP, pharmacist or fund manager, how many available men are there?” Salt said. “The truth is there aren’t many and this is why they need to change their geography and go out to places like Cootamundra or Gilgandra. “They also need to change their expectations of what they want in a partner because he may not wear a suit,” Salt said. Brisbane’s Table of Six franchisee Bonnie Davidson backs up Salt’s findings, but blames the mining boom in Central Queensland for the ‘man drought’. “We definitely have a man drought in the city but we also now have a number of ‘man towns’ in Central Queensland such as Tieri, Emerald and Mt Isa,” she said. The latest figures released by online dating giant, RSVP, also support the rural swing, with singles of both sexes, living in regional areas leading a surge in online dating. “Across Queensland, the growth of new members from regional areas was more than six per cent, whereas the growth in members from Brisbane was around five per cent,” RSVP spokesperson Melanie Dudgeon said. The strongest growth came from Toowoomba (12 per cent), Cairns, Rockhampton and Townsville (11 per cent) and Mackay (nine per cent). “We know singles in regional areas can feel limited in their dating options because they live in smaller communities where there are less prospective partners to choose from,” Melanie said. But it’s not all bad news, city dwellers—because when the boys are back in town, they are often on the lookout for love. “Many of our clients fly in/fly out but when they join us they are goal-focused to find a lady; they dine more frequently and want us to organise their social lives,” Bonnie said. “Men join Table of Six for varying reasons at different ages, but as a bit of a guide we normally find that those aged 25 to 45 years are looking to settle down and have children, while those aged 40 to 55 years are often newly divorced and wanting a social life. Now that we know where the men are, the question is … how do we get in touch with them? 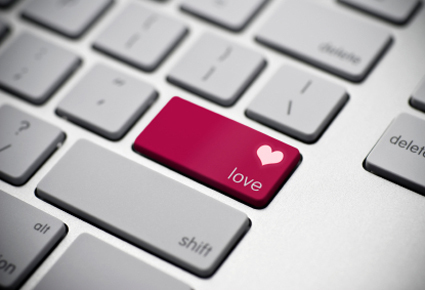 Social media seems the obvious answers—especially when 83 per cent of RSVP survey respondents claim it’s not easy to find someone out on the town—but opinions vary on whether the new forms of media are helping or hindering our love lives. “I think social media hinders as many people will discount without ever meeting people,” Bonnie said. “I meet everyone at our dinners and people constantly surprise me with how much more they are than what is on paper. So, who now fancies a trip to the Roma Races or the Mt Isa Rodeo? Editor’s note: This story was first published on Here & Now—an awesome new online national magazine which aims to support, inspire and celebrate women (and I’m not just saying that because I’m one of their feature writers). Go on, check it out! Gen X men are slackers, no way did all of them lodge their census form. Seriously though the census data does not take into consideration FIFO workers or others travelling for work, a lot of men and women do go overseas to work but they often come back when they are ready for a family. We also have a lot of foreign men work and study here whose numbers aren’t taken into consideration but many of my friends and 2 members of my family married men from overseas later in their life. The numbers are often sensationalised to put fear into women, tricks like they cull men they don’t consider marriage material while leaving all women in or not revealing the numbers are skewed by the older generations. My grandparents generation for example we to war, so did the older end of my paremts generation, a lot of men went overseasto fight amd did not come home. It’s not the numbers thay are the problem it’s the quality, no one likes being treated like crap but Aussie guys really like to dish it out. If you want confirmation women are still the ones casting the votes, not the men, eavesdrop on the whingers who online date, the guys complaining bitterly about no one answering their messages, how the sites are stacked at a 60 to 40 men to women ratio and how it’s womens inboxes that are being slaughtered while mens sit empty.